Advantages: Entertaining and informative text, many first hand accounts, relevant selection of photographs, superb colour artwork. There were many “firsts” for the USAS 1st Pursuit Group. It produced the first American trained fighter pilot to score a victory, the highest scoring American balloon ace, and the first USAS member to earn the Medal of Honour. Although America entered the war late, they still managed to play a significant part in the war. There were no indigenously designed fighters so the aircraft used were either bought or built under license. Problems abounded with the new equipment but the men had to make do with what they had. Fortunately for the reader… this provides for some fascinating reading. Within the standard 128 pages of this series, Jon Guttman relates the story of this pioneering Group. His knowledge on the subject is first class and this comes across in the well paced narrative. The text is interspersed with the words of the participants themselves which adds a more personal touch to the events described. Upon reading the book it soon becomes clear that there is plenty of fresh material to keep the enthusiast interested. Indeed Hollywood could have a field day with the plots surrounding the 1st Pursuit. Aside from the familiar roles of Rickenbacker, Lufbery, and the recalcitrant Frank Luke, there was also a case of deception, a suspected German spy and even a claim of desertion in the face of the enemy. Over 125 well chosen photographs are provided and each is supplied with an informative caption. The times have not been kind to some of the images but in many cases they represent the only glimpses of the participants in question. One always looks forward to the artwork of Harry Dempsey and this edition doesn’t disappoint. There are 36 colour profiles to inspire the modeller with extra views available to display upper wing markings where necessary. 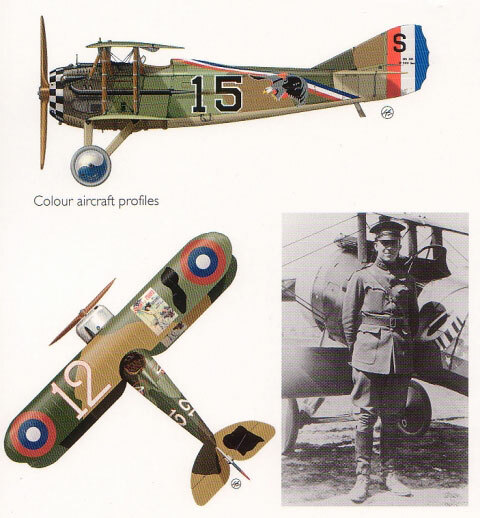 Nineteen examples portray the Nieuport 28 which come from the 27th, 94th, 95th and 147th Aero Squadrons. The remainder are taken up by the SPAD XIII which again represents the previous outfits but this time with the addition of a Sopwith Camel from the 185th. 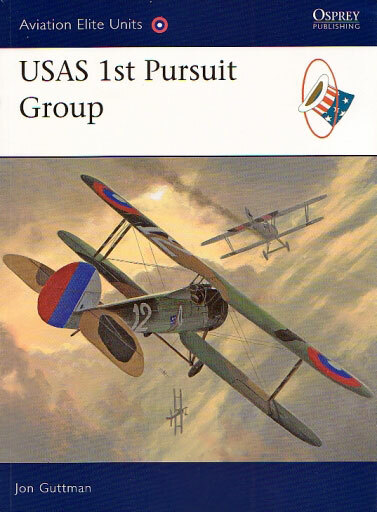 An appendix lists the aces of the 1st Pursuit Group and this tabulates the victories scored in the 1st PG compared to the pilot’s overall score. After overcoming initial heavy losses, the 1st went on to down more aircraft than any other US Group. Its story is full of interesting characters and the author does an excellent job of bringing them to life. Jon Guttman has written 14 titles in the past and this latest book lives up to the promise of his earlier works. As such, it’s a title that belongs on any enthusiast’s bookshelf.